In 1911, when Fabbrica Italiana Automobili Torino (FIAT) announced a contest dealing with a dessert’s creation to be offered to its customers for the launch of the new car FIAT TIPO 4, Majani invented the 4-layer Cremino and won the competition. 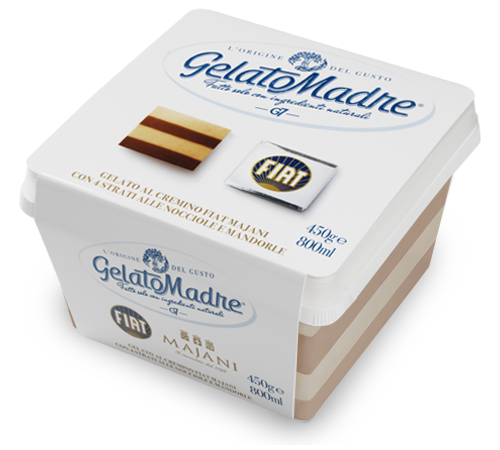 This is how the Fiat Cremino Majani was born, a chocolate which combines classic hazelnut and almond cream with cocoa paste in a balanced and still unique mix. GelatoMadre, first on the market, creates the 4-layer Cremino Gelato.